Does greenery really matter in the workplace and at home? According to the 1995-1996 Norwegian study, plants not only have a positive impact on our physical condition but also provide evident benefits for our psychological health such as stress reduction, mental restoration, positive spirit, reduced mental exhaustion, efficiency gains, and increased focus. This hypothesis was proven successful by 20 years of public health research. Norwegian study, plants not only have a positive impact on our physical condition but also provide evident benefits for our psychological health such as stress reduction, mental restoration, positive spirit, reduced mental exhaustion, efficiency gains, and increased focus. This hypothesis was proven successful by 20 years of public health research. The 2014 study by the University of Exeter found significant employees’ performance improvement up to 15% when previously lifeless empty offices were filled with several flower pots. Important was that every person could see a plant from their working place. Putting just one houseplant in every square meter helped workers rank better on basic tests and increased their memory retention by 20%. Moreover, experienced gardeners point out that plants create a microclimate effect that results in increased moisture as well as a cleansing of the chemicals in the air. The question is what houseplants are to choose to create a better working environment. Let’s unpack this a bit. Epipremnum aureum is a perfect air cleansing houseplant. Thanks to its ornamental marbled leaves and simple care, it is very popular amongst greenery lovers. 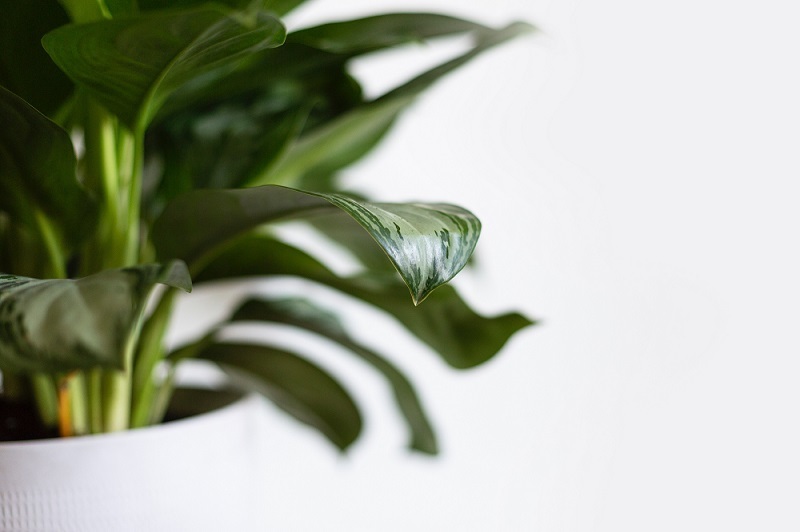 This houseplant saves staff members from the lack of air circulation, filters the air, increases oxygen inflow and removes toxins arising from cleaning products, water, soil, and furnishings made of harmful materials. It also energizes any environment and reduces anxiety and stress. According to Feng Shui experts, Epipremnum aureum is an indicator of welfare in any space and brings good luck to the building. Thus, they recommend keeping at least one plant near each computer, television, or Wi-Fi router. Commonly known as Goosefoot or Nephthytis, this plant is approved as a No.1 air purifier by NASA researchers. It is a powerful anti-pollutant that decreases even such organic compounds as benzene, formaldehyde, and toluene. Moreover, Syngonium reduces airborne microbes and increases humidity absorbing pollutants into the leaves. Then, absorbed toxins go to the root where they are converted into nutrients for the plant. Besides, a special five-lobed shape of Syngonium leaves represents five main Feng Shui elements such as water, wood, metal, fire, and earth. Thus, it allows balancing yin and yang energy and to encourage a positive atmosphere of a living or a working space. Professional interior designers also take advantage of these houseplants, as they are beautiful, healthy and contribute to the atmosphere of any house. An easily recognized plant from a world-famous movie Leon has become one of the most popular plants for indoor use. Chinese Evergreen efficiently filters out indoor air and mitigates the content of benzene, carbon monoxide, formaldehyde and other hazardous synthetic materials that emit gas organic compounds. What’s amazing is that Chinese Evergreen can kill strep infection. However, this is not its only merit. Chinese and Thai people bet that Aglaonema brings luck, but only in case you grow it yourself. Just like the plants above, Dracena efficiently cleanses the air from the above mentioned toxic substances called VOCs. 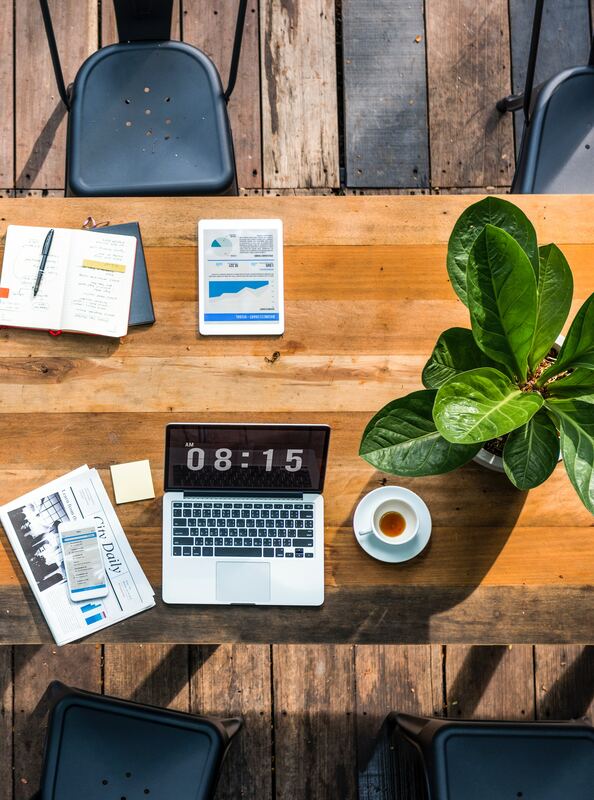 According to the Texas A&M University study, keeping one of these easy-care plants in your workplace can increase your productivity and improve your memory, as well as attention span. Being around this plant in the office can help lower stress and blood pressure, giving an opportunity to focus on the job. Also, Dracaena helps to boost our creativity level and improve job performance. Dracaena in the workplace has a positive effect on the problem-solving skills too. This vivacious plant eliminates poisonous substances, has recovering properties and brings fresh energy in difficult situations. This is a perfect choice for the working environment, but not for living spaces. Philodendron diminishes harmful radiation effect and it is better to keep it near appliances. This plant should be kept in buildings with negative energy. In this case, philodendron will take off the excessive negativity. Still, people should avoid keeping it in their bedrooms since Philodendron absorbs oxygen at night. And on the contrary, it enriches the environment with oxygen and moistures the air at noon thanks to their large leaves that also absorb dust. According to Feng Shui, Philodendron helps to negotiate, make important decisions and give confidence to its owner. You may often see this houseplant in chiefs’ rooms. NASA Researchers put Peace Lily on their list “Top Ten Household Air Cleansing Plants” and it finally received the recognition it deserves. The moisture exposed by this plant can increase space humidity by up to 5%. This disposes airborne microbes that can be a reason of allergies and also helps to avoid those annoying dry noses and throats. Peace Lilly has a robust energy, improves performance in the workplace and can often be found in office buildings thanks to its aristocratic and laconic form. It is also considered to be a plant of “women happiness” that can improve family relations and help to meet a soul mate. 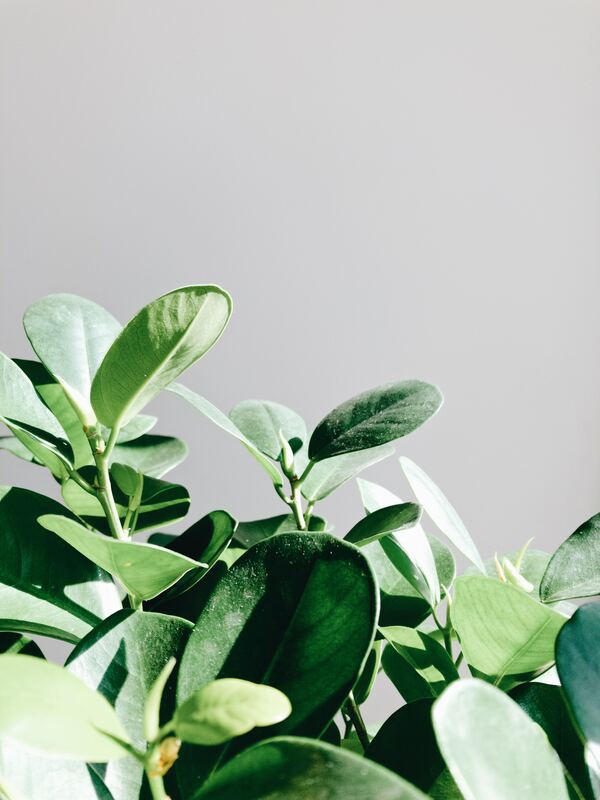 Ficus elastica is another popular decorative plant with large, thick-skinned, shining oval-shaped leaves efficient at eliminating toxic compounds from the air and absorbing large amounts of contaminants. It also resistant to pests and diseases and has a high transpiration indicator that improves the humidity of the living space. Spores and bacteria often circulate through the air, searching for places to boost. Ficus defenses against this potential danger and kills them while they are airborne. This process allows reducing bacteria in any living or working space up to 50-60%. According to Feng Shui, this green friend helps its owner to make wise decisions, attain the goal, and achieve financial wealth. If you are tired and totally exhausted after the working day, put Ficus on your desk and soon you will notice that the stress goes away and you feel stronger. People have a congenital need to be in touch with nature. Unfortunately, the workplaces, where we spend most of our time, are often dull and languid. Researchers have proved that adding even one houseplant per a workspace can cause a huge lift in the employees’ mood. This is often related to a boost in performance and prosperity. If you’ve already chosen one for you, there is something to remember! It is not enough just to bring a plant to your place. It will have a positive impact only if you care for it with love and tenderness. Did you know these five activities in nature that improve mental health?